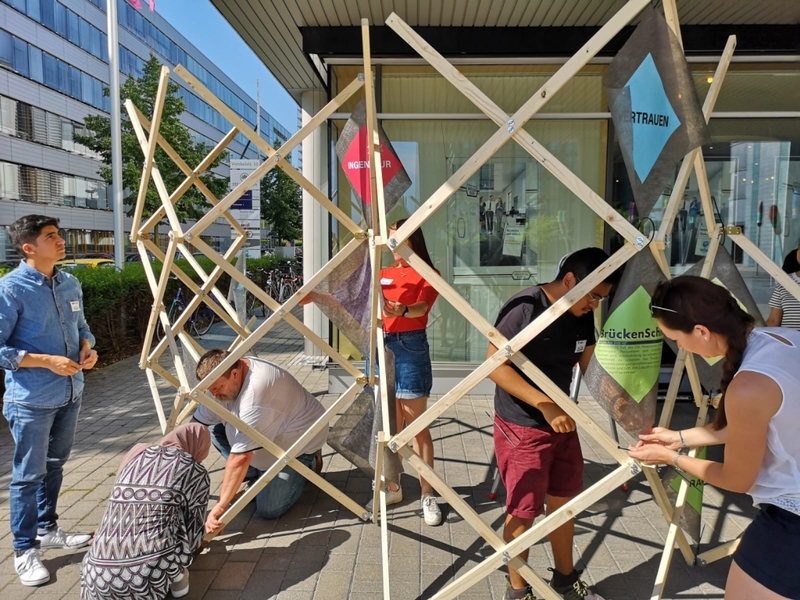 Together with young job seekers, the BrückenSchlag (=building a bridge) team has built up the Popup Pavillion on the STEP area near Transsolar Stuttgart. The three-hour test run was well received by the visitors and was a great experience despite the heat. If there a job offer already will result, will show. 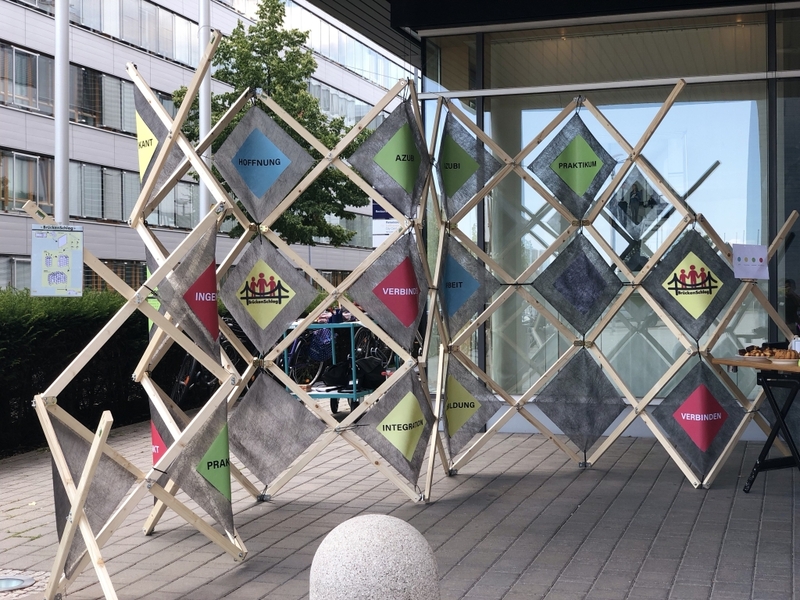 The project Brückenschlag is based on the competition „Place & Displacement Competition 2018, Integrating Refugee Populations within Cities“. Our winning team did not want to rest on the laurel of theory and finally realized the idea and presented it and “built the bridge” for the first time.